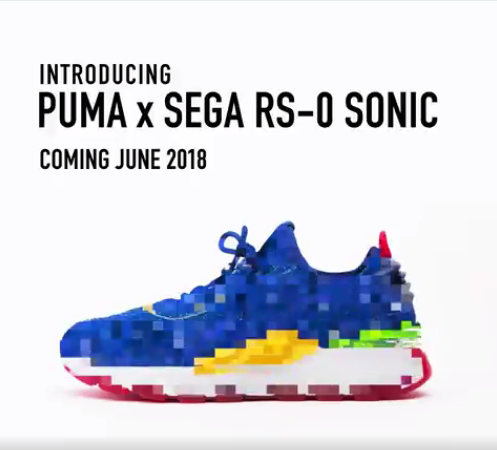 Today’s Sonic Twitch included an announcement and a reveal for a second Puma shoe model from the Sonic X Puma collaboration. The shoes take a Dr Eggman theme, and were teased in the stream. The shoes will be available in a limited quantity from 5th of June, 2018 for $130. The stream hinted these shoes will be available from shoe specialists and from other Puma distributors worldwide. 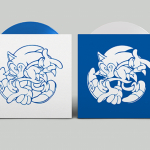 As always, stay tuned to TSS for more Sonic merchandise news! First4Figures has posted a new teaser image on their private Official Collector’s Club group. 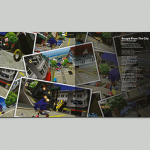 The teaser appears to be hinting at a potential statue for the upcoming, as-yet untitled Sonic racing game. The image, followed by a coy “teehee,” isn’t much to go on. 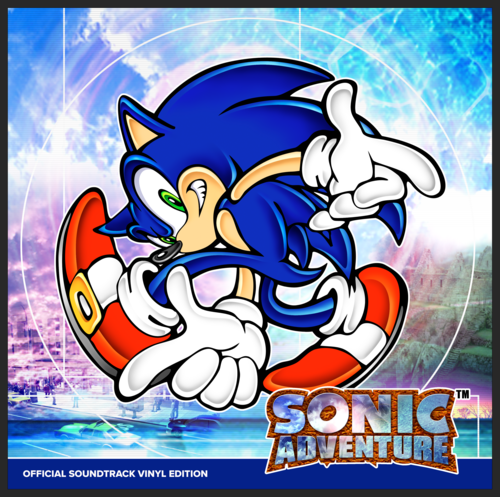 While this is hardly a confirmation, the blue Sonic-esque spike and checkered flag background would seem to make it being Sonic racing game related a safe bet. We’ll bring you updates as they come. Coming hot off the presses at the SXSW twitch, the SEGA panel have announced a brand new partnership with shoe manufacturers Puma. 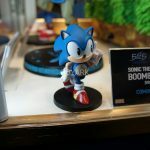 The teaser trailer, shown for the first time at the convention, shows off a pixelated image of the PUMA X SEGA RS-0 SONIC – with a reveal of the final product coming soon. The shoes will be available in June, but you’ve got to be fast; they will only be available for a limited time and in limited numbers. As always, TSS will keep you up to date with more details as they come! While Battle Racers is still in it’s funding phase on Kickstarter, Gamenerdz and IDW games have announced a similar board game of their own. “Sonic the Hedgehog: Crash Course.” In the game, You can play as either Sonic, Tails, Knuckles or Eggman in their classic style as you race to collect the Chaos Emeralds. The game has an MSRP of $29.99, but is available for pre-order for $18.97. Check out the official statement below and go to the official website for more details. Sonic, Tails, Knuckes, and Dr. Ivo “Eggman” Robotnik are on a crash course for the Chaos Emeralds! Speeding through the classic Green Hill Zone, players in Sonic the Hedgehog: Crash Course race to be the first player to collect the most Chaos Emeralds! If you want to take the victory, then you gotta go fast! Game design by Sean McDonald. 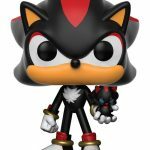 -WIN if you’re the fastest to earn the most Chaos Emeralds! Diamond Select Toys have been responsible for some very well done toy lines based on pre-existing licensed products such as Ghostbusters and Marvel. 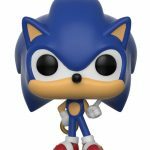 Well with New York Toy Fair just a few days away they have just announced that they will be making a new line of Sonic toys. I’ll let you guys decide if you want to add that racetracks bit to the racer game rumour pile. So we have, diorama style figures, miniture block figures, mini figures and racer figures! 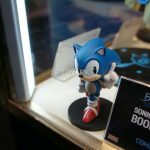 The toys are due for release around Christmas 2018, but they will apparently be on display at the New York Toy Fair which is next week. We’ll update you as soon as we get more information. 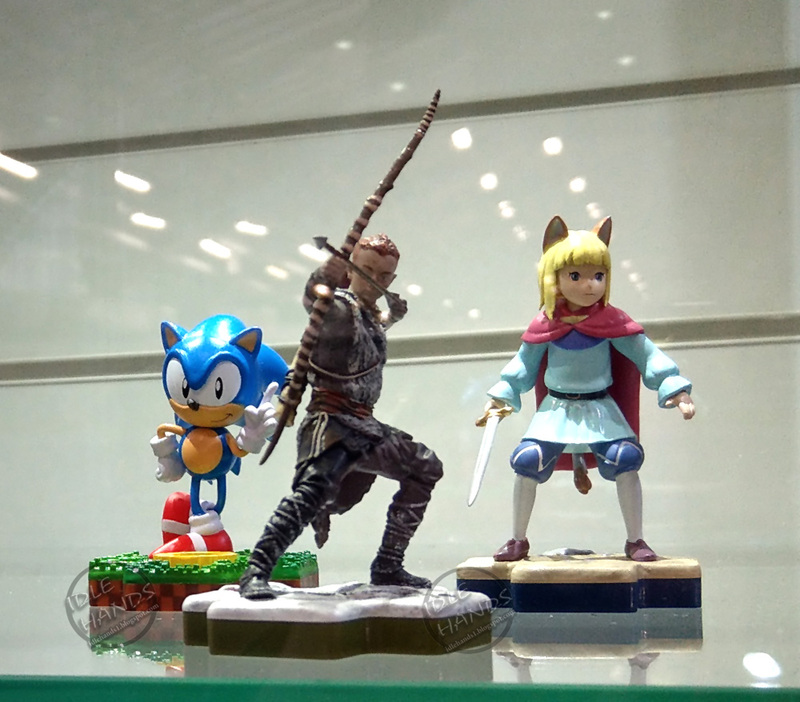 Over in Nuremberg, the annual Spielwarenmesse toy fair is underway and as usual the toy makers are showing off their new toys for release later this year. Well, one such toy maker has just added fuel to a fire which had been virtually extinguished earlier this week. Zappies who were responsible for a number of All Stars Racing Transformed toys way back when the game was first release were at the convention and have allegedly told Spindash.de that there is a third Sonic racing game on the way! 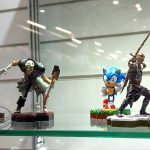 Whilst there is no outright proof of such a game, what strongly supports it is that their booth is full of the original ASRT toys which went out of production years ago. 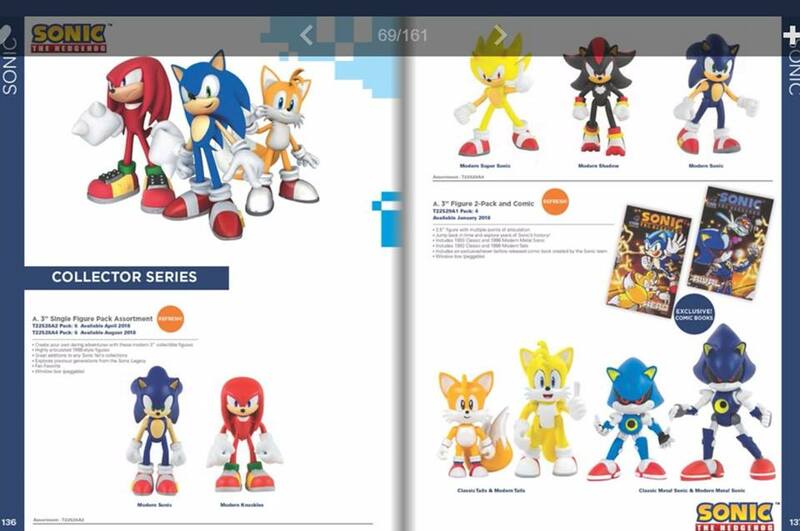 They claim these are here as placeholders in a bid to give some retailers an idea as to what the new game and toys will look like. This comes less than a week after a document from Sumo Digital was leaked which suggested a new ‘Kart Racer’ from a ‘Global IP’ was in development, and just days after Aaron Webber claimed that it wasn’t happening. Keep checking TSS, hopefully we can get all this resolved very soon! 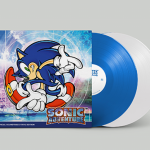 Start saving your pocket money, as board game purveyors Shinobi 7 LLC will soon be launching their Kickstarter campaign for their newest board game Sonic the Hedgehog: Battle Racers! 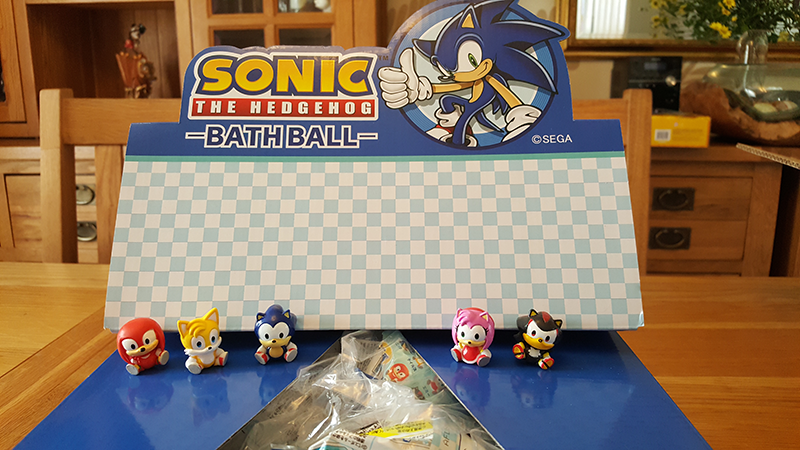 The product is advertised as a strategic board game designed for 2-5 players, in which each participant takes on the role of one of multiple Sonic the hedgehog characters represented by a set of fantastic, size-scaled figurines. 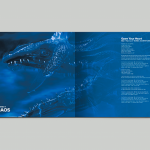 Shinobi 7 plan to launch their Kickstarter campaign this month, offering up exclusive and Limited-Edition items to those who pledge their support. A retail edition of the game will be available later in the year through Diamond/Alliance. 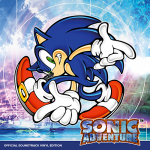 “Burst into action with Sonic the Hedgehog: Battle Racers! Select your racer, choose your route, and fight your way to the finish while avoiding opposing racers and a variety of dangerous obstacles. Control your speed, use your abilities, and activate your special powers to collect as many rings as you can in an amazing race. For further information and images, check out the Shonobi7 website. 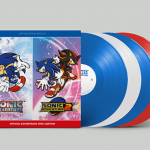 Despite reports that F4F were looking to cancel their Sonic line, it seems there might be one last gasp effort to bring life to it once more. 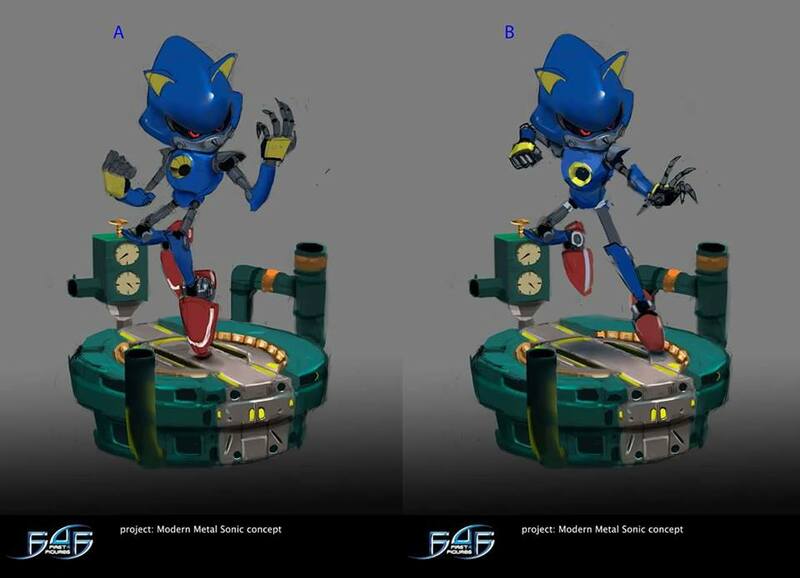 In a Facebook post discovered only just now, First4Figures recently asked members of their collectors club to vote on designs for a new Modern Metal Sonic Statue. Based on the image, there are two design concepts being considered, however the poll also has options for ‘not interested in Metal Sonic’ which is currently the second most rated option! Why did it take so long for people to notice? Might have something to do with the post going live on Christmas Day, when we’re all eating turkey and opening gifts. Source: Facebook (need to be a member to vote and view). In what could be argued as being the first big reveal for 2018. 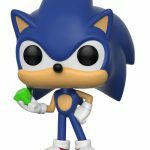 Tomy has updated their re-seller catalogue for 2018 which includes a lot of brand new Sonic toys covering action figures and plushies. 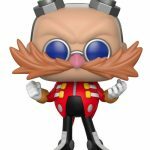 With regards to action figures we have a new a classic Amy pack which comes with a metal art plate and a Classic and Modern Eggman pack which also comes with an art plate. 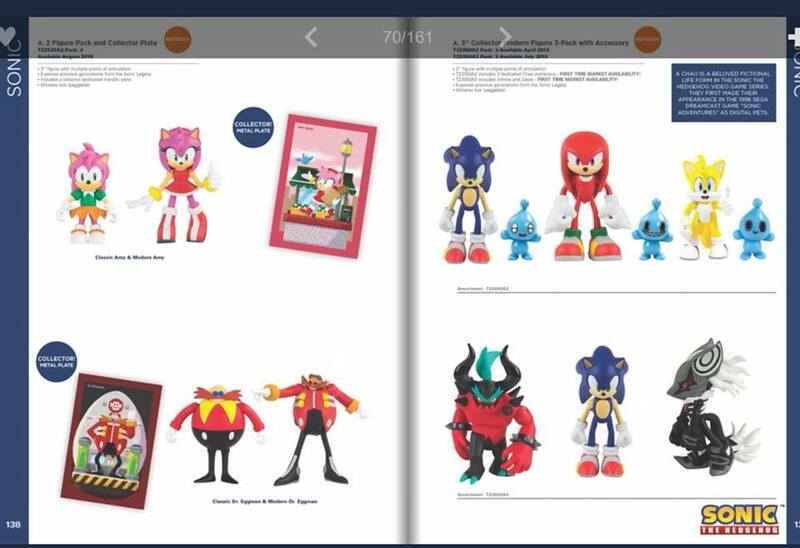 But more interestingly, Zavok is finally getting a figure and Infinite is also getting the action figure treatment along with some Chao accessories. More modern based figures, but the most interesting thing on show here is the comic book packs, you see… that doesn’t appear to be an Archie or IDW comic book, but something completely new! Terror, excitement, confusion… all in one page. 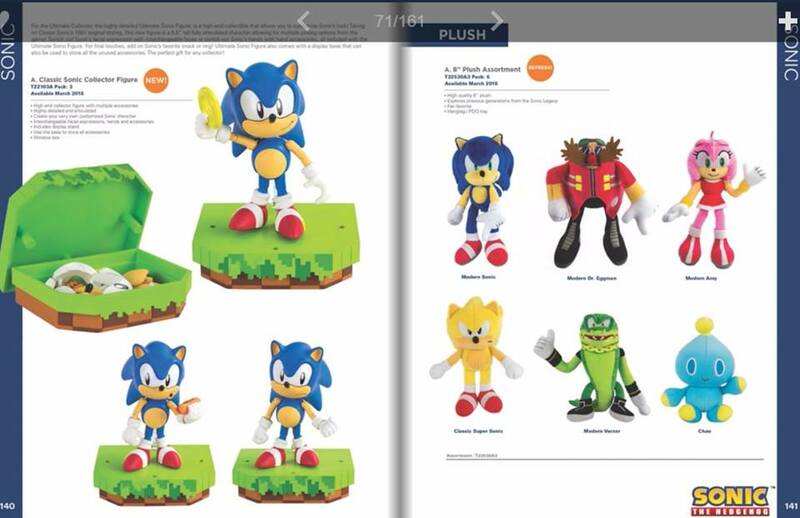 On the one hand with have the awesome looking classic Sonic figure, and the utterly stunning looking Super Sonic plush…. Only to find Amy and Vector who appears to be hitch hiking. 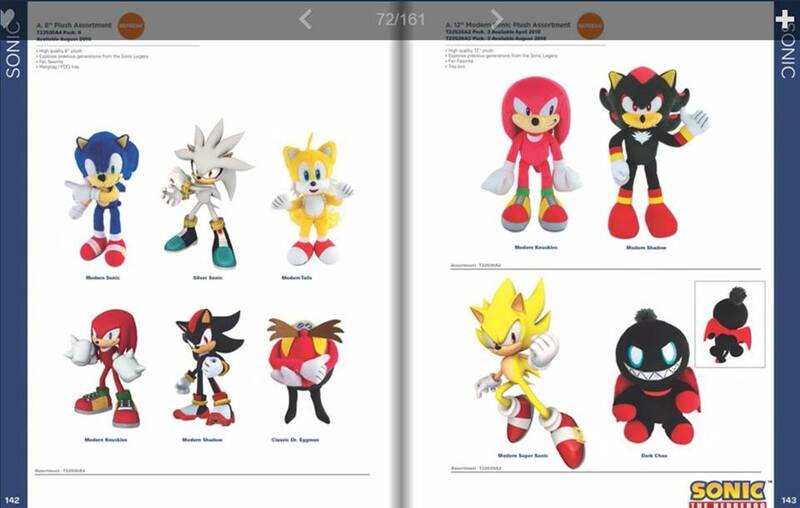 More plush toys planned, this time we see a new Classic Eggman and an Evil Chao figure join the line! 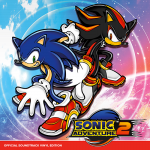 Also is it just me or is Knuckles giving Shadow a bit of a look there? More on these as and when we get the details in. In just a few hours, Black Friday will officially begin here in the UK. 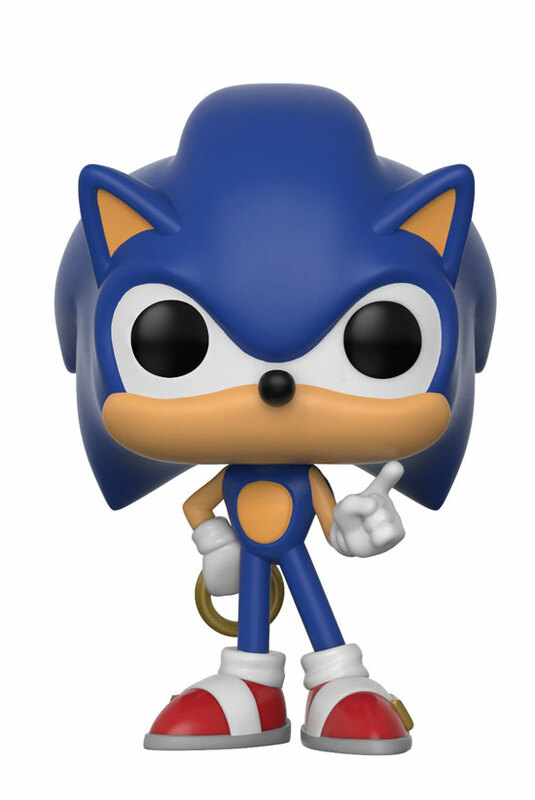 So with that in mind we’ll keep you updated with all the best deals that we can find related to Sonic. Keep an eye on our twitter account as we’ll be posting any additional updates there and the details of which here. 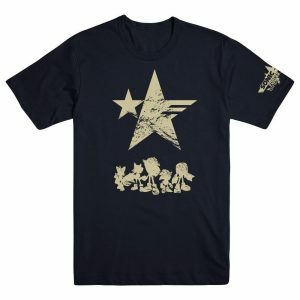 TeeTurtle: 50% off pretty much everything including their Sonic stock! * We have heard rumours of Sonic Forces being priced at $20 in some Gamestop stores, not had any verification of that. We’ll add more deals as and when we find them. Found anything not on the list? Let us know in the comments. 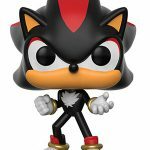 The formerly South Korean exclusive Boom8 Sonic figures from GNF TOYZ are now available for pre-order from First4Figures’ website. The two 8cm (3.2 inch) PVC figures are being sold together as a combo pack for $45 USD and will be shipped out at some point in the first quarter of 2018. Anyone who wants to pre-order will need to put down a 30 percent deposit. 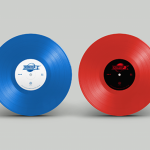 The deadline to pre-order is November 17. The store is currently only open in the Americas, New Zealand and Australia. 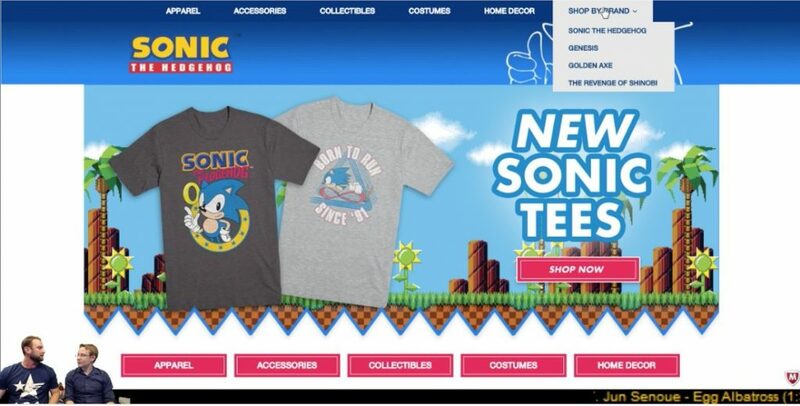 SEGA are setting up shop online with a new official store. 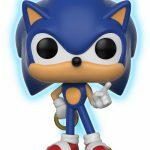 As announced in the latest official Sonic stream, this store is set to open as soon as next Tuesday. The range that’s planned covers quite a large amount of franchises and products. 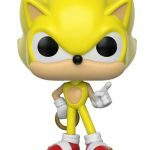 While Sonic has the most prominence, the store will also start out with the SEGA Mega Drive, Golden Axe and Revenge of Shinobi, and there’s more on the way. Items range from plush toys and mugs to clothing, enamel pins and more. There’s even set to be some items exclusive to the store, and as soon as it launches you will be able to get the T-Shirt that was previously seen at TGS. 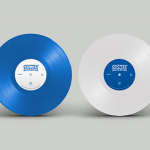 Currently, the store will be available to those in the US, Canada, Australia, New Zealand and Latin America. They are looking into plans to expanding its range in the future. The latest issue of Licensing Today Worldwide makes mention of an online store opening as well, this one dedicated to personalised and customisable merchandise. It mentions the range starting with gifts, technology accessories and homeware, with a projected opening timeframe of this winter. It’s currently unknown if this is related to the SEGA Shop. 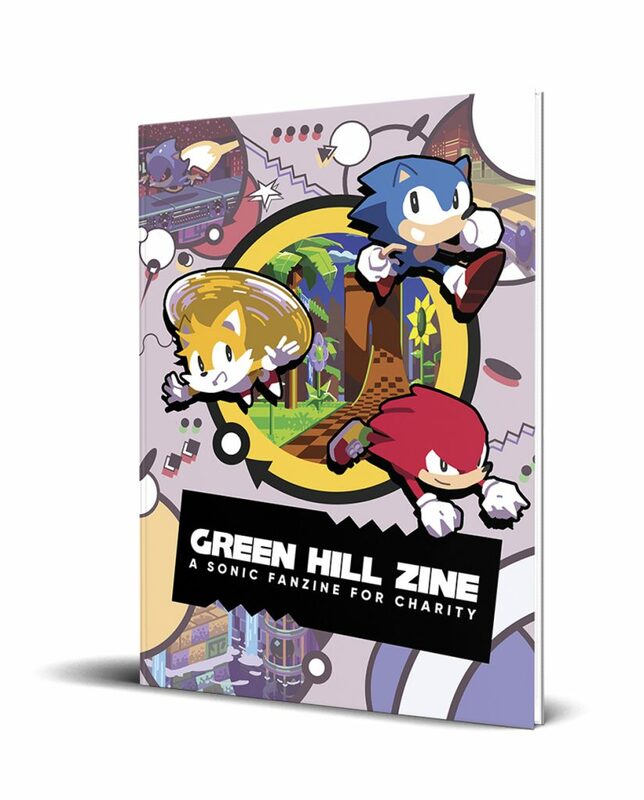 If you want something to purchase for a Sonic or SEGA-loving friend in time for Christmas, this might be the right place to look! Licensing Today Worldwide October 2017 [Lema Publishing], p32. 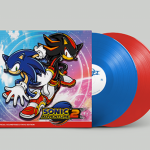 Sonic Channel, the Japanese source for all things Sonic, has announced that Sonic Forces will see the release of its soundtrack in both physical and digital formats. 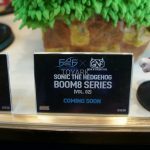 Earlier this year, GNFToyz, a South Korean company released a number of really awesome Sonic figures and have since teased an expansion of the range… Just one tiny problem; these were a retail exclusive to a South Korean store and unless you lived in South Korea it was exceptionally difficult to get your hands on these. Well… that’s not true, you could get them if were willing to pay 3-4 times the RRP on ebay, no really they were being re-sold for that amount! Well it looks like they may have found a western distributor. 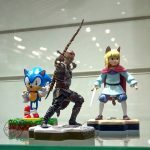 A photo taken by Toyark of the First4Figures New York Comic Con booth appears to confirm that F4F are going to be distributing them worldwide! Based on the photos taken, it looks as if F4F have begun a partnership with GNFT and series 1 of the figures will be available ‘soon’. Hopefully we won’t have to pay 3-4 times the RRP to get our paws on this one! Keep Checking TSS for more updates as we get them. 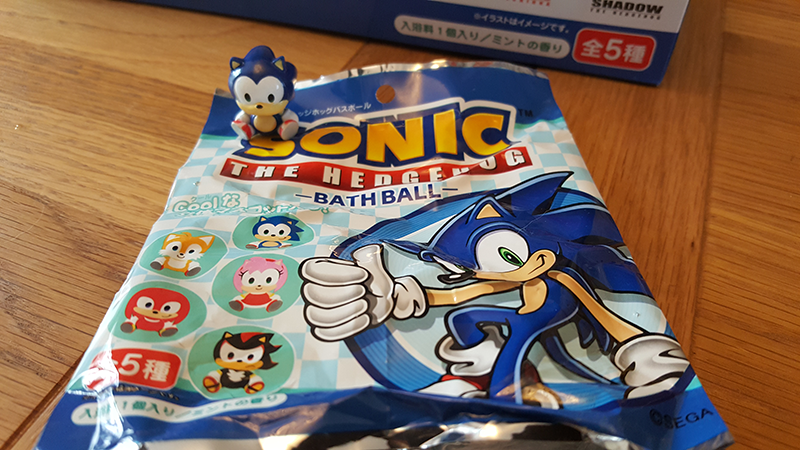 Today we’ll be taking a look at the Sonic Bath Balls, a charming little toy/cosmetic product which was released in Japan earlier this year. The above video contains footage of what it’s like to actually use one, so if you’re curious to see what the effect it has on water as well as human skin check it out. So the idea is, you buy a bag at random and then take a bath with the bath bomb. As the bomb dissolves you are left with your toy. Typically, these blind bag toys have no clues as to what’s inside them unless you weigh them. Well this is where things get interesting, because these blind bags do have an identifier! Each bag has a code printed on the back, there are 5 different codes which relate to the different characters. Each code ends with the following combinations. So it’s completely possible to get a full set of these without ever buying a single duplicate! Even before I opened the individual bags, there was a noticeable smell coming from the retail box. Upon opening a bag and unwrapping the first bomb it really kicked in. I can’t really say for certain what the smell was, but it reminded me a lot of those old bubblegum flavour pop drinks you used to see kinds in schools drinking a lot. Or like how back in the 90’s the most exotic flavour of ice-cream you could find was that blue bubblegum flavour. So if you want to smell of bubblegum, these are a must. Turns The Water (And Your Skin) Blue! If you want to see what happens when you actually drop one of these into water, skip to 8:30 in the video posted at the top of this article. Watching the ball slowly dissolve in the water, the liquid quickly turned a deep blue colour with a lighter blue foam over the top. Only, it’s not just the water it turns blue, it also changes your skin a noticeable blue colour. You might at this point be thinking ‘does it wash off?’ Well… no, not completely. The blue colour remains on your skin for a while, even if you rub your hands with soap and water you won’t get it completely off. It makes me wonder how many people got these and just threw them in the bath with themselves. At least they’ll get an audition at the Blue Man Group if that did occur. The actual toy itself is… Surprising high quality and really well made! Out of the 5 figures I’ve got, all 5 are nearly flawless, no paint errors, no build errors, there’s absolutely nothing wrong with them. The level of detail on them is also surprisingly high. Shadow actually has his jets carved into the sole of his shoes, Amy’s eye lashes are painted correctly and there is no sign of paint bleeding at all. Even very small details like eye pupil colour, there is no sign of paint bleeding or errors on any of the toys. They’re also quite durable, they remind me a lot of the old Monster in My Pockets, you can squish them a little but they’re not going to break unless you twist and pull them violently. This is one of the most surprising products of the year, I was expecting the toys to be really low quality, lots of paint errors, poor build construction with no way to tell what figure was inside each bag. Instead, these are some of the best quality toys I’ve seen for a long time. Given their size and cost you would expect these to be very low end toys. But the opposite is the case, the quality is very high and is supported by a keen attention to detail. 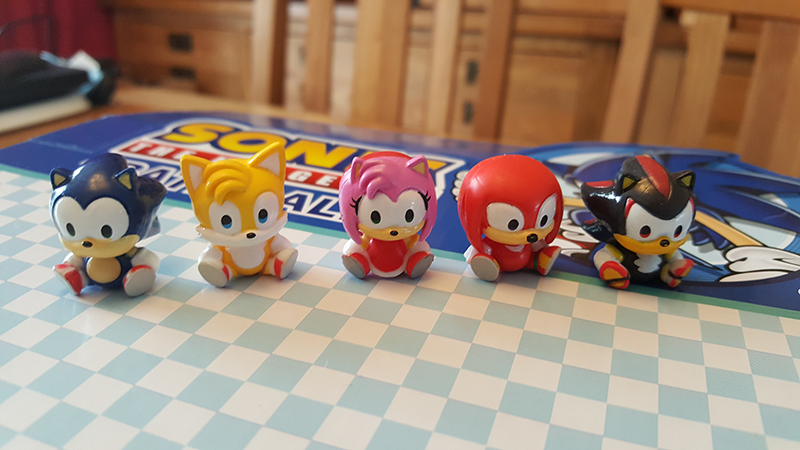 Over here in the west the closest thing I can think of to compare these too if we go by price point and concept would be the Tomy Gacha toys. The difference is night and day, Tomy’s Gacha toys often feel and look very cheap, fall apart with ease and have a lot of paint errors, whereas in Japan’s product does more and is putting the western offerings to shame. Definitely recommend these if you can still find them. Just beware turning yourself blue. 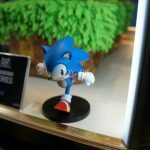 Sonic CE Statue Contains An Actual LED Light And Can Be Modded to Work. 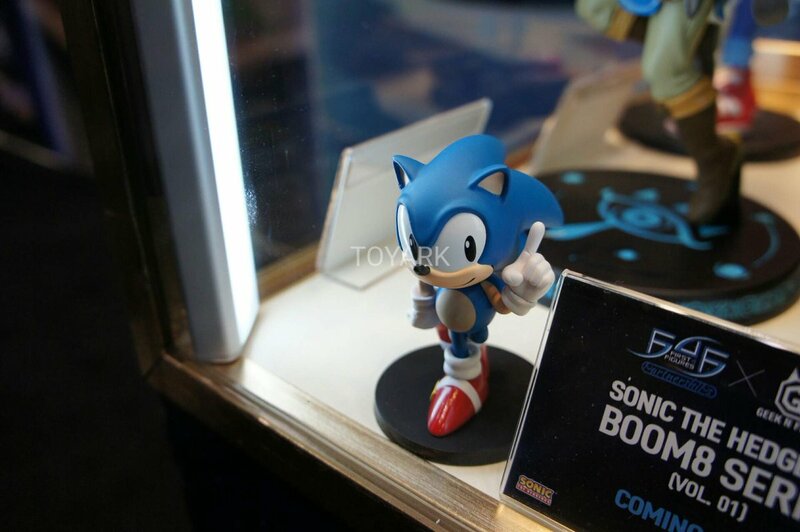 A twitter user by the name of Jojo has discovered that if you open up the Genesis/Mega Drive stand of the Sonic Mania Collector’s Edition statue, there is an actual LED light in the display! (NOTE: Doing so would void any warranty you might have on it.) What’s more, you can make it work! The tiny circuit board for the “SEGAAA!” sound includes two holes marked “LED”. All you need is a bit of copper wiring and a screwdriver. You can check how he did it on Jojo’s Twitter page, but man! What an easy mod! It makes you wonder though. Sega seemed to back out of the LED light working at the last minute. Why? 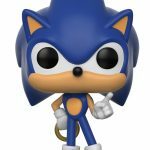 An upcoming retail list from Gamestop has somehow leaked, and it has listings for four brand new Sonic the Hedgehog Funko Pops! 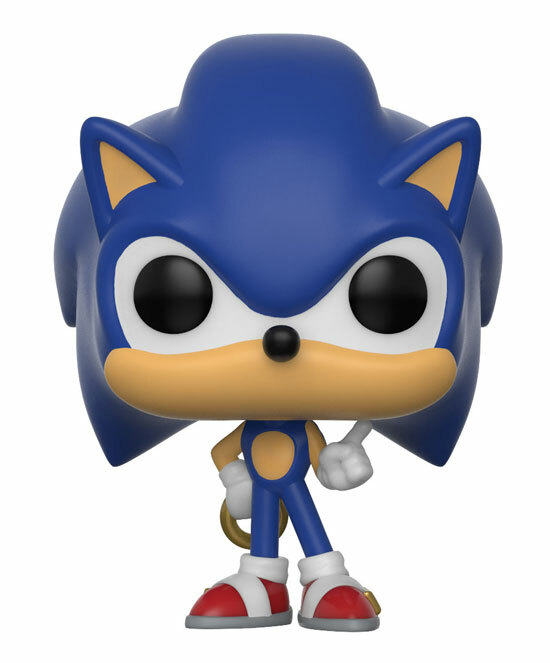 The first two may just be new accessories added to the old Sonic Funko Pop that came out all the way back in 2013, but the last two would certainly be brand new, as the original line only had Tails and Knuckles in addition to Sonic. If these do make it to store shelves, you may want to make a point of getting them while you can, as the old Funko Pops can fetch prices upwards of $100. We will be keeping an eye out for more news on the matter. 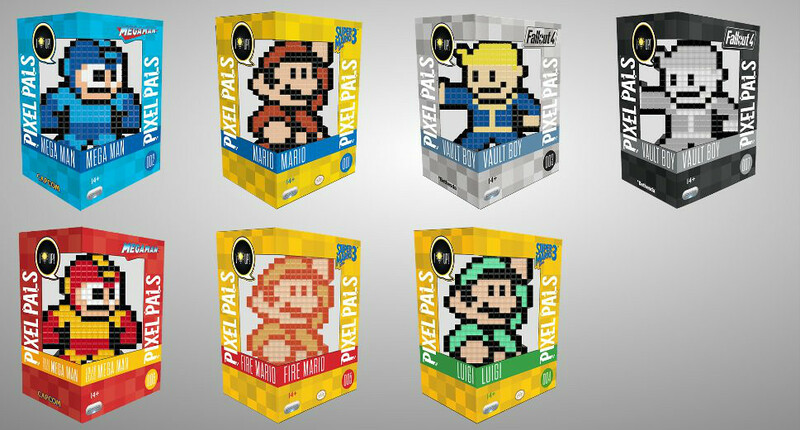 If you’ve been into any videogame store recently, odds are you will have seen a line of figures called ‘Pixel Pals’ if not, here is what one looks like. Just small little figures to sit on your desk and look at you whilst you do your homework. 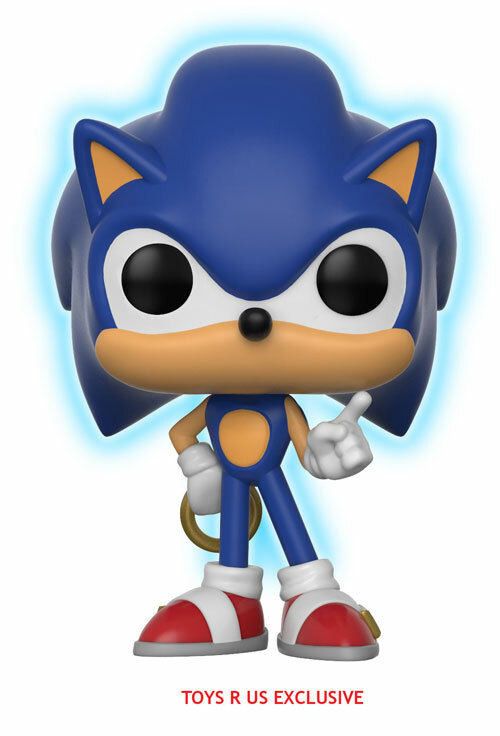 Well… it looks like Sonic might be joining the line. A listing has appeared on Amazon.se which shows a listing for a ‘Sonic the Hedgehog’ Pixel Pal. No pictures of the product have been released, but a release date of November 15th 2017 and a price point of just under 15 Euros was in the listing. As usual keep checking TSS as we’ll let you know additional details as and when we get them in.